Professional photographers are often the McGuyvers of imagery. You’d be surprised how their eye-catching shots are fairly simple DIY tricks. You’ve heard the term “Smoke and Mirrors”. It refers to the magic created behind the lens to give the appearance of something very different in front of the lens. Sometimes, do-it-yourself camera tricks are born of necessity for “getting the shot”. For example, clamps and duct tape to hold something in place. At other times, simply playing around to spark your creativity can bring amazing results! 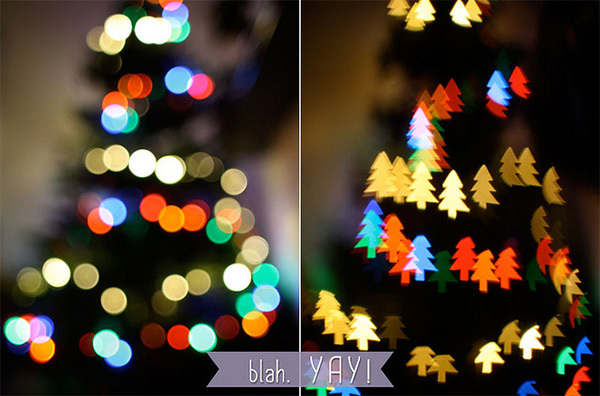 Create custom shapes for a cool, ambient light background bokeh. Check out this site for a a list of really simple photography hacks that don’t require much money! What kind of DIY techniques have you tried? Tell us about them! Follow us on Facebook, Twitter, or let us know in the comments below!